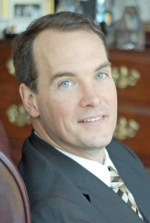 Roger S. Green, MSFS, CFP®, and the staff of his firm Green Financial Resources, LLC (GFR), have helped individuals and small businesses with their investment decisions since 1987. With thirty years of experience helping people with their money through the tough times and the good times, Roger is very qualified to assist with all of your financial and investment planning needs. Roger's focus on customer service, education, and a unique philosophy that he and his firm will help everyone who seeks help with their money (by providing free consultations without asset minimums), he has differentiated his firm from most. The primary focus is on helping people invest with the goal of pursuing long term growth. Roger's asset harvesting plan guides the withdrawal process strategically during retirement, allowing the potential of continued growth to help ensure financial confidence throughout today’s longer retirement periods. Click here to see a list of the many ways we can serve you. Take action now to help secure your financial future. Request your no-cost, no obligation consultation by completing this form. Upon receipt, we will contact you to schedule your meeting. *The Best of Gwinnett winners and nominees are chosen by a combination of readers' votes and editors' input. Reader opinions are vetted thru several ranking sites, Better Business Bureau complaint reports, and voting pattern analysis reports. There is no fee in exchange nomination or winning. Listing in this publication and/or award is not a guarantee of future investment success. This recognition should not be construed as an endorsement of the advisor by any client. 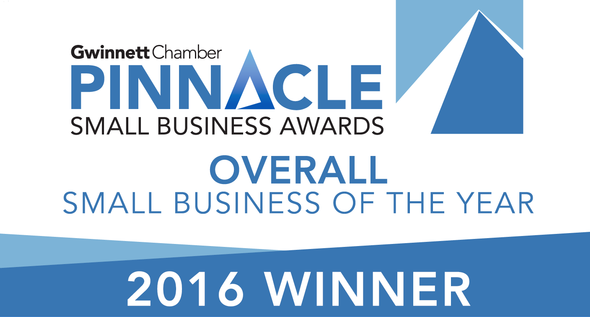 *The Pinnacle Small Business Award is given by Gwinnet Chamber of Commerce to pay tribute to leading small businesses who dare to start, strive to sustain and persevere to succeed. 1Over 4,000 advisors who wish to be ranked fill out a 102 question survey about their practice, data is verified and then applied to a ranking formula. The ranking reflects the volume of assets overseen by the advisors and their teams, revenues generated for the firms, and the quality of the advisors' practices. The scoring system assigns a top score of 100 and rates the rest by comparing them with the top‐ranked advisor. Listing in this publication and/or award is not a guarantee of future investmentsuccess. This recognition should not be construed as an endorsement of the advisor by any client. 2Research Magazine’s Advisor Hall of Fame is awarded to candidates who have served 15 years in the industry, have acquired substantial assets under management, demonstrated superior client service, and have earned recognition from their peers and the broader community. To view a comprehensive list of awards and recognition, please visit Our Qualifications. *Recognition from rating services or publications is no guarantee of future investment success. Working with a highly rated advisor does not ensure that a client or prospective client will experience a higher level of performance or results. These ratings should not be construed as an endorsement of the advisor by any client nor are they representative of any one client’s evaluations. Listing in any publication is not a guarantee of future Investment success.